There’s something special about a spring wedding, and with some careful planning and creativity you can create the perfect springtime celebration. Springtime is a special time of year – the weather is warming up, the flowers are in bloom, and the days are getting longer. It’s also synonymous with hope and new beginnings, making it the perfect season in which to get married. 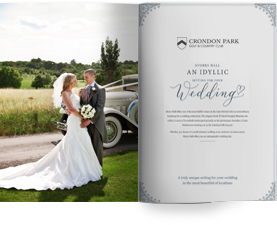 With so much to recommend it, it’s little wonder that more and more couples are choosing to get married during the spring rather than in the more traditional summer months. If you’re considering a springtime wedding, read on for some hints and tips that will help you to plan the perfect celebration. 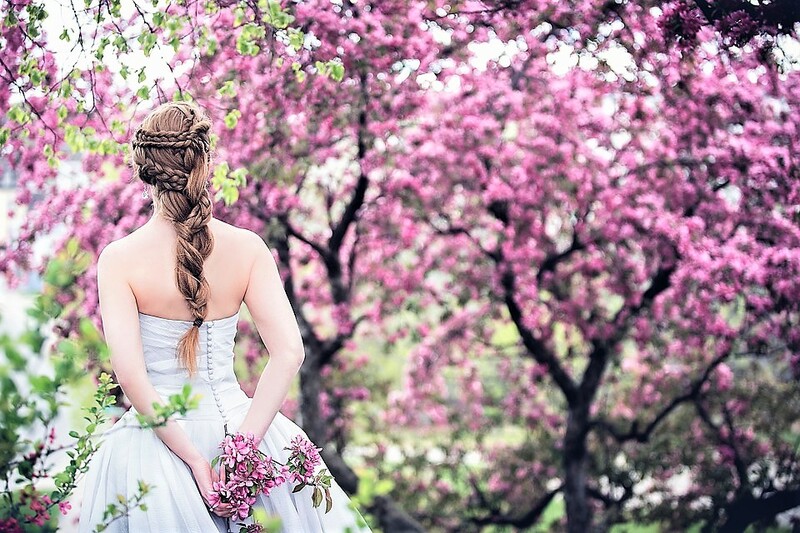 The early bird catches the worm and this is particularly true when planning a spring wedding. Springtime weddings are very popular, especially those during the month of May, and venues and suppliers often get booked up months or even years in advance. So if you have your heart set on a spring wedding you need to start planning as soon as possible, or you may find yourself disappointed. You may not like the idea of booking a venue and then having to wait two years for the actual wedding, but the time will fly by and just think of all that time you will have to plan all the finer details. Spring weddings lend themselves perfectly to bright, cheery colours, so don’t be afraid to go bold with your colour scheme with eye-catching shades of blue, green, yellow and pink. If bright shades are not your cup of tea, then soft pastels also work really well with the season. 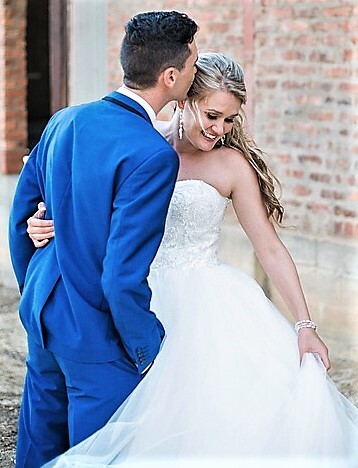 And colours are not just confined to bridesmaids – the men in the wedding party will look great in blue suits instead of the standard black or grey, and you can also get some beautiful blush wedding dresses which offer a pretty take on the traditional white dress. Spring is also synonymous with flowers, so consider incorporating a floral theme into your wedding attire, for example with flowery lace patterns in your wedding dress, or with floral-print ties and handkerchiefs for the groom and his ushers. Alternatively, if you’re going for a boho vibe, a beautiful flower crown offer the perfect finishing touch to your bridal outfit. One of the big advantages of a springtime wedding is that you can choose from a huge array of gorgeous seasonal flowers, from snowdrops and crocuses to hyacinths and sweet peas (depending on when in the season you wish to wed). Peonies are a particular wedding favourite, and with them being in season around April and May you can create a stunning bouquet based around this romantic flower. As well as an abundance of flowers, there is also lots of great produce around in spring, so treat your guests to a fresh seasonal menu. Lamb served with jersey royals and asparagus is always a popular choice, and late spring weddings could even benefit from a seasonal strawberry dessert. Or if you prefer something lighter, why not opt for a reception with a quirky afternoon tea? When planning a spring wedding, we all envision bright sunny days, but unfortunately that is not always the case; spring weddings in Essex (and the rest of the UK) can sometimes be a wet or chilly affair. However, with proper planning, inclement weather needn’t put a dampener on your celebration. Make sure you choose a versatile venue that has great indoor and outdoor space. It may be a bit optimistic to plan an outdoor ceremony in spring, but on sunny days a nice terrace or lawn area where guests can relax and mingle can really make all the difference. In case of rain, make sure you have a good supply of umbrellas on hand, and for chilly weather a supply of warm blankets for guests to borrow always goes down well. And don’t forget to look after your bridesmaids with warm shrugs or cover-ups. Between Easter, Mayday and Whitsun, there are plenty of bank holidays to enjoy during the spring. So, why not take advantage of the longer weekends by booking your wedding for a Sunday? Some suppliers may offer a discount for booking on a Sunday, and they’re also more likely to be available on your chosen date. Plus, as it’s a bank holiday, your guests won’t need to book the next day off work. You could even go all-out with a 3-day wedding extravaganza! Springtime weddings offer some fantastic photo opportunities. The trees are in bud, flowers are blooming, the sun is (hopefully) shining, so make the most of the season and get out in nature for your photographs. However, just in case the sun doesn’t shine it pays to have a back-up so try and book a venue that also has some great indoor locations for your wedding photos. And having your photos indoors doesn’t mean you can’t incorporate a touch of nature into your pics – why not channel your inner Kim Kardashian and Kanye West and have your photos taken in front of a flower wall made up of seasonal blooms? When it comes to decorating your spring wedding there are so many great options open to you, and spring weddings lend themselves especially well to those extra special DIY details. Spring flowers such as daffodils, tulips and gypsophila are in abundance, and relatively inexpensive, at this time of year, so, for centrepieces you could try creating arrangements in mismatched jars and vases for a sweet yet simple look that gives a nod to the season. Another option would be to give your wedding an ‘English country garden’ theme complete with vintage watering cans, mini wheelbarrows, colourful flower pots and living centrepieces. Vintage-inspired decor is also a great match for springtime weddings; get the look with pretty bunting, birdcage centrepieces, and rustic touches of hessian and lace. To get the atmosphere just right, opt for soft, vintage shades rather than bold primary colours. The springtime theme can also be incorporated into the wedding favours; delight your guests with packets of flower seeds and mini planters of spring bulbs or fresh herbs. Alternatively, you could appeal to their palates with little jars of local honey. 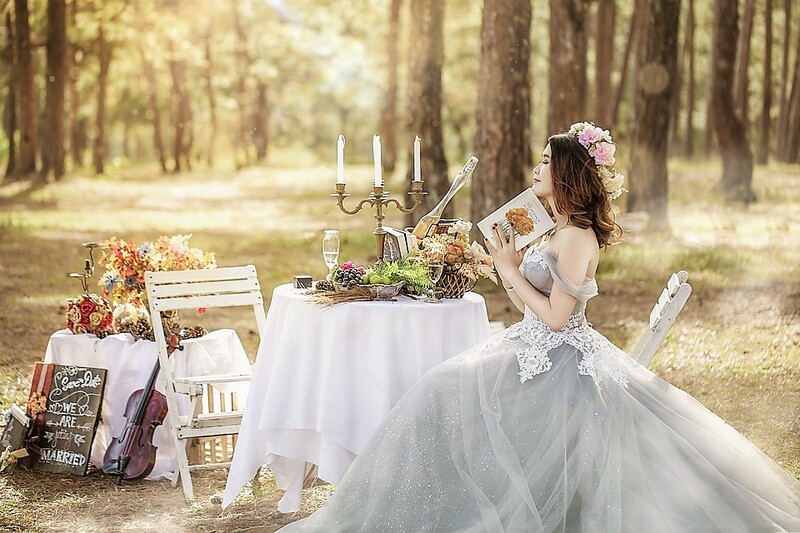 When it comes to weddings there really is something special about springtime, and with careful planning and a bit of creativity you can embrace all this romantic season has to offer.